KOTA KINABALU: The Human Rights Commission of Malaysia (Suhakam) will help the Sabah government find a pragmatic solution to documentation and stateless issues in the state. 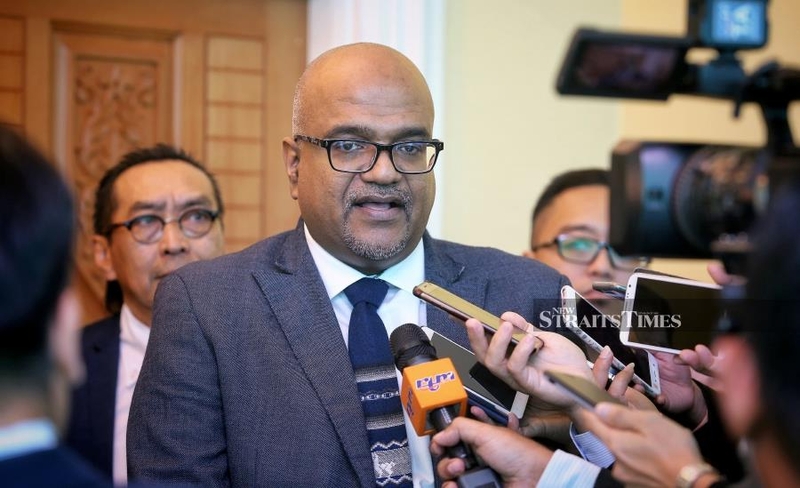 Its commissioner Jerald Joseph said chief minister Datuk Seri Mohd Shafie Apdal was aware of the problems and has encouraged Suhakam to open ideas and work with federal agencies to look for a solution. “Our job in Suhakam is to advise the federal and state governments on policy and law. It’s crucial that the chief minister becomes an interlocutor for the realisation of human rights. “Today, we’ve started the journey and he (Shafie) has agreed to work with us on the issue of documentation,” he told reporters when met at the state assembly legislative building here today. Earlier, Joseph and Suhakam delegates paid a courtesy call on Shafie to discuss on the state’s human rights issue and cooperation with the state government to find a resolution. He also presented Suhakam’s 2018 annual report to the chief minister. Joseph noted the commission had last year received 1,200 complaints while Sabah received over 500 cases, 80 per cent of which were on documentation and the issue of land, among others. “Almost every month (Suhakam) Kota Kinabalu office gets 50 cases and out of that, 40 are on documentation. This means 80 per cent of our cases involve people, who just don’t know what to do. “The children can't go to school because the parents are not married or because of late registration. The chief minister has suggested looking at amending federal laws (immigration laws) to make things easy for these people,” he said. To a question, Joseph said Suhakam had managed to clear about 50 per cent of cases in a year, while 30 per cent of cases in Sabah were solved. “Documentation is a difficult issue because we can’t really find an immediate solution. It’s not like land problems, where there’s clarity and support from various offices,” he added.